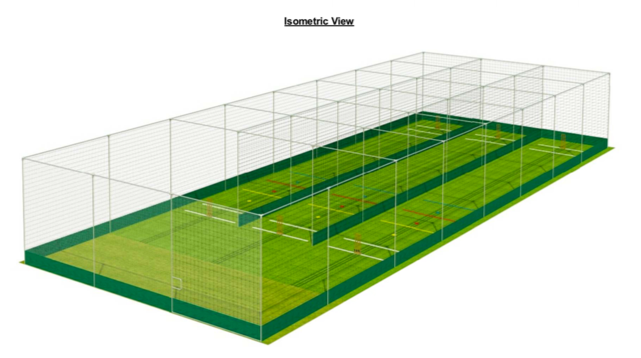 To upgrade the net practice facilities at the club to not only replace the existing structure but by adding a third lane increase participation use on individual nights whilst significantly upgrading the safety of the facility. Back in 2014 a group of colt’s coaches and parents got together to discuss how we could improve the practice facilities so we embarked on a small survey initially to look at an indoor school, after 12 months of research it became clear the funding needed for such a project was high and whilst Rushmoor Borough Council would support us, Hampshire County Council and Hampshire Cricket Board would not due to the facility at Eversley Cricket Club. 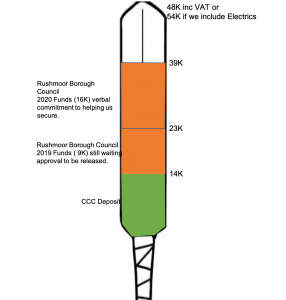 During the 12-month survey we researched funding options and it became apparent that we would need at least £12,000 as a deposit for such a project if not more. So, we commit to embark on fundraising journey before we started to look for grants as this had to be in place. 2015 – 2017 we focused on raising money for the project a number of kind people donated money and we used the Colts Tournament and the Bonfire Night the Colts Committee organize to raise the rest. By the Start of 2017 we had £10,000 in the saving fund, if you consider during this period that we funded in addition to the £10,000 raised some money towards the replacement covers and coaching courses we probably raised nearly £16,000. At the start of 2017 we embarked on the funding round now we had the deposit. We unfortunately failed in the Sport England Grant process, mainly due to the award the club received in the past was still within the time window. We then approach SITA who also denied us entry to the Grant Process, on review their funding was under pressure and they were lending to community sports clubs and had already committed to a number of NET projects. Since October when we received the news, we have added another £4,000 to the fund and we are now with ECB help progressing with the grant. 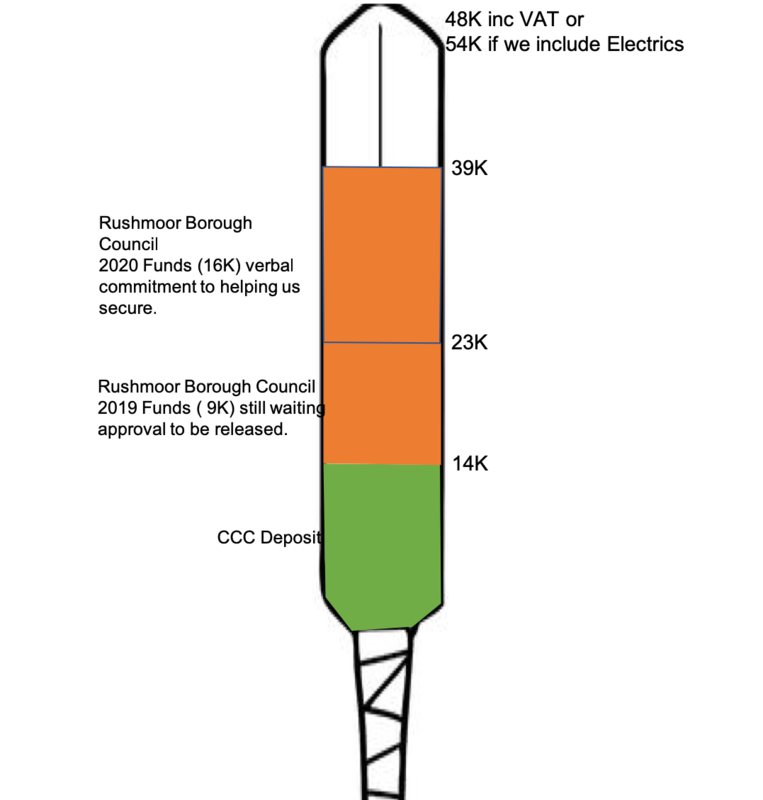 Rushmoor have been very supportive of this project and recently confirmed their commitment promising funds in 2019 and 2020. Equally ECB and Hampshire Cricket Board have suggested we would get funding in 2020 due to the new Sky television deal. 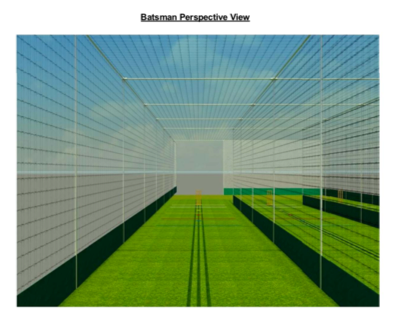 ECB are now helping us run the process and we now need planning permission before we go for grants, so this is underway and will hopefully be completed by the end of April. ECB are meeting myself and Tony Lynch on 27thApril to discuss next steps in funding approach. Below is one of the designs we are looking at, the rough cost is £40,000 + VAT. We are always looking for people to help, we have had to scale back the project due to costs increasing and if anyone knew a company(s) that would like to sponsor the facility we would be interested in talking to them. In addition, we want to run power out to the site, but we need an upgrade on the electrics in the clubhouse and to lay the cables. Locate a storage facility next to the nets to keep the bowling machines and coaching equipment in but that is not currently budgeted. Please contact me on 07747 794301 or email me at palynch@ntlworld.comif you can assist.